Leon was one of the first officers on the scene of the London Bridge terror attack in June 2017. 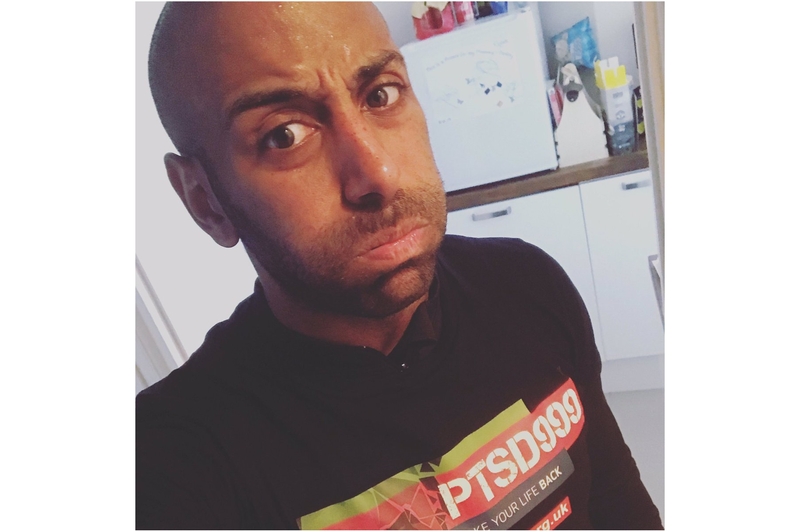 He has since spoken candidly about the impact of the incident on his mental wellbeing and is running the marathon to raise money for the non-profit organisation, PTSD999. We caught up with Leon to find out how his training is going, whether he's nervous about the big day and his reaction to the support he has received. BTPFed - Just a few weeks to go now Leon, are the nerves setting in? Leon - I'm still excited for it. I feel ready so wish it was now! I spoke to a mate a few months ago and he said a this would happen. Training is going well, and I've managed to do 20 miles on a couple of occasions. I was hoping to fit one last more run in at around that distance but pulled a muscle so had to just rest up for a week. At the start of the year I was still playing football but have had to stop that now as I can't risk injury. I did think I'd struggle more on the cardio side but I'm happy that's not been the case. It's been a lot tougher on my legs than I imagined. I didn't know it was possible to make your legs not want to work anymore! BTPFed - Giving up football is serious stuff! What other changes have you had to make to your lifestyle? Leon - I'm very aware of not eating badly or drinking alcohol now we're so close to the day. I'm training around my shifts which hasn't been too bad; it has meant a few late night runs but I have enjoyed it as it's been cooler. The only thing I've tried to avoid is running when the roads are particularly busy as I'm pretty sure breathing in the muck can't be good! Aside from feeling very achy I've noticed I'm clearly fitter than I've probably ever been before. Some of the long runs have been mentally testing but that's all part of the battle. BTPFed - Your mental health has been something you have spoken about very openly in recent months. You have appeared in the papers and went on a well-known podcast to talk about the impact the incident had on you and how you dealt with it. What response have you had to sharing your story? Leon - The response has genuinely been overwhelming. I didn't know that just being honest would be so well received. The podcast, in particular, was incredible. Before it came out I had no idea how it would go down. I know some close friends and even family have listened and hadn't really known how bad things had got with me. I guess it was quite cathartic. BTPFed - And finally, what do you imagine will be going through your mind as you take your place on the start line? Leon - I'll probably be bumbling around spotting famous people - 'is that Deborah Meaden?' - and wondering how quick I have to run to keep up with the likes of Mo Farah and Paula Radcliffe! I think I'll mainly be telling myself not to mess up and to just concentrate on getting to the end. Leon is halfway to his £10,000 fundraising target for PTSD999. If you can spare a few pounds, you'll help the organisation to support emergency service personnel who are dealing with the effects of PTSD. You can donate and leave a message of support for Leon here on his JustGiving page. If you didn't hear Leon on Scroobius Pip's Distraction Pieces podcast, listen again here.